Allied Health Students Society (HEALS) in collaboration with IOHK unit of KAHS and Masjid Sultan Haji Ahmad Shah would like to invite all to interesting talk which organized in conjunction with Months of Science and Faith 1.0. 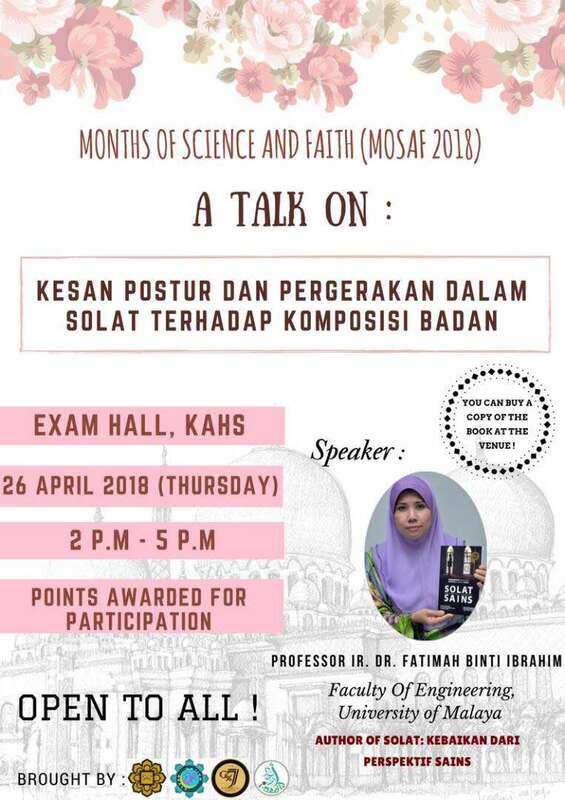 Invited Speaker: Professor Fatimah binti Ibrahim from Department of Biomedical Engineering, Universiti Malaya, The Author of Solat dan Sains. Merit will be given to students and staff.